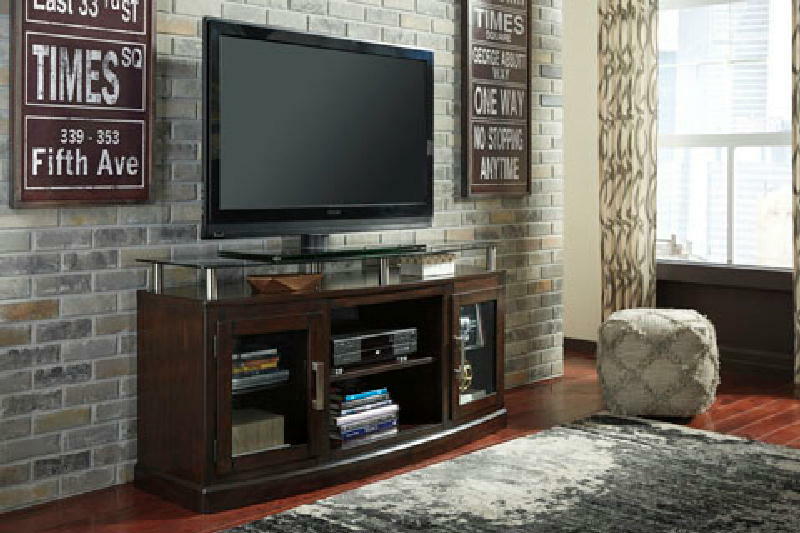 If you're looking for an elevated take on contemporary style, you're sure to appreciate the Chanceen TV stand show-stopping good looks. Its inchfloating inch black glass top brings that wow factor you?ve been yearning for. Other standout elements, including an arched front design, glass-front cabinets and architectural bar pulls give this TV stand a sleek sensibility and touch of drama.